K9 Lites Safety Collar is the ultimate safety collar for your dog. 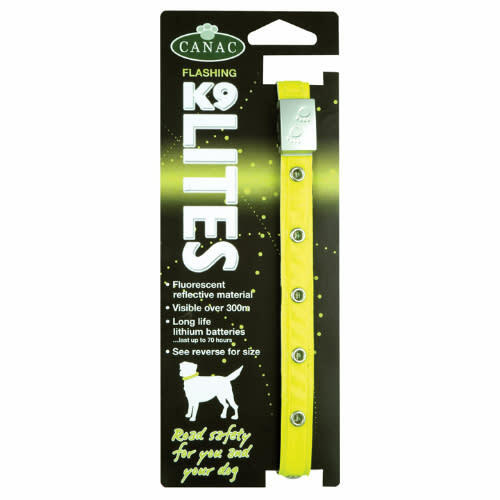 These adjustable collars have flashing LED's with fluorescent yellow reflective material for long distance visibility, over 300 meters. Please note this collar should be used as a supplementary collar. You will still need to use your current collar as well.